Several years ago, we set out to build the best campus virtual tour possible. The result? 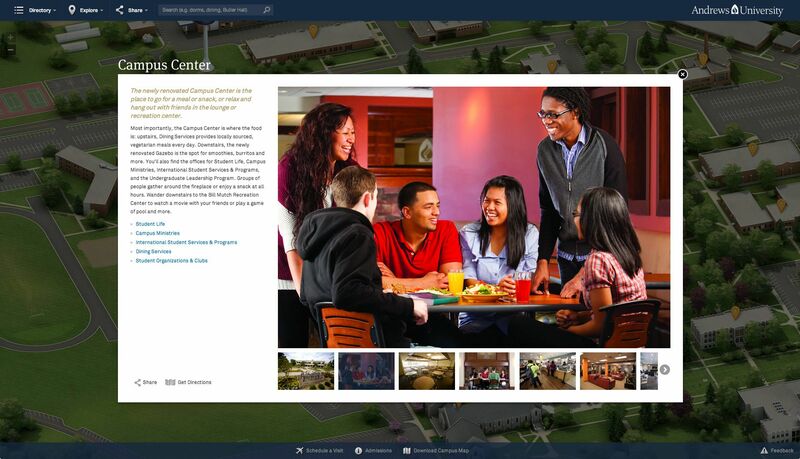 CampusView—a fully responsive virtual tour solution for colleges and universities. Available both as a hosted and self-hosted solution, CampusView is uniquely positioned to meet the needs of institutions who are looking for a flexible approach to online campus tours and are seeking the best solution on the market. CampusView can be integrated into an existing content management system, or implemented with an administrative interface of its own. CampusView is available with two unique approaches: Map based and tour based. 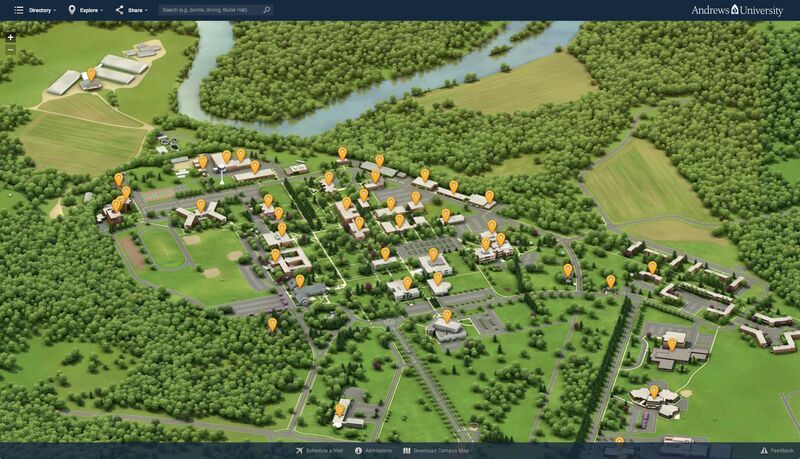 Our unique map based option centers the visitor's experience around a beautifully rendered 3D campus map, providing a rich browsing interface to explore campus features and places with multimedia content using guided or self-guided tours. The tour based approach draws the user into an immersive experience that allows them to explore written and multimedia content through a series of stunning panoramic photos.